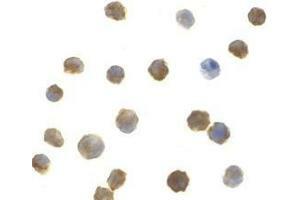 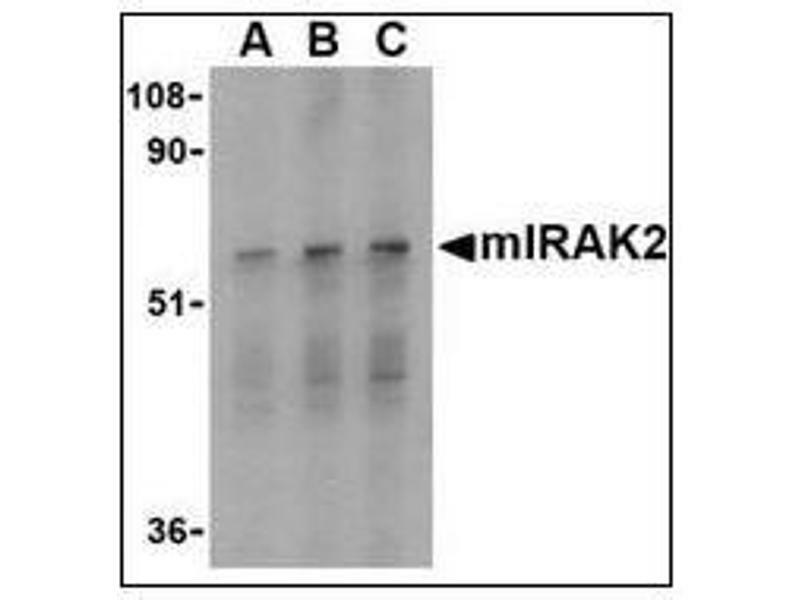 Immunocytochemistry of mIRAK2 in A-20 cells with mIRAK2 antibody at 1 µg/ml. 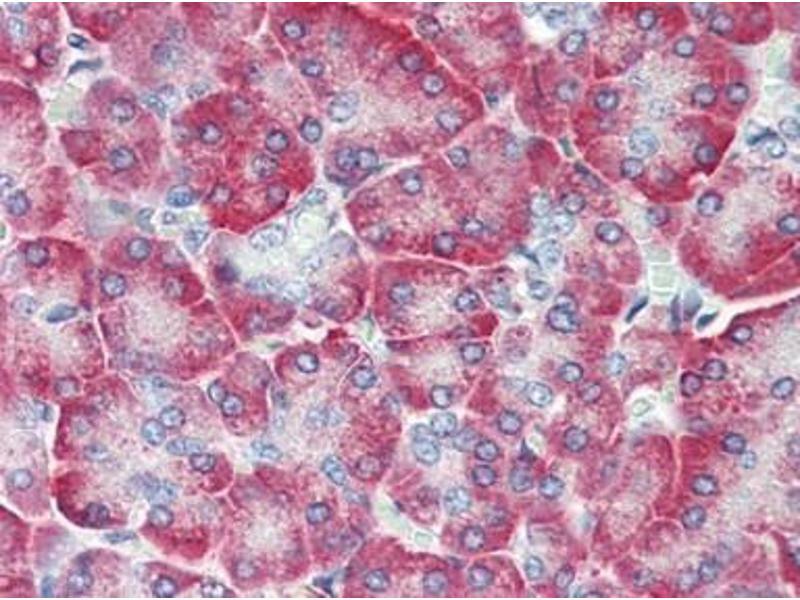 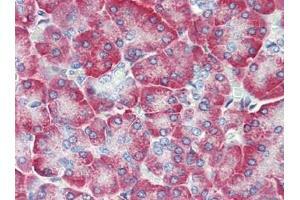 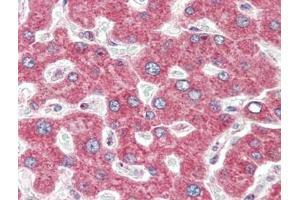 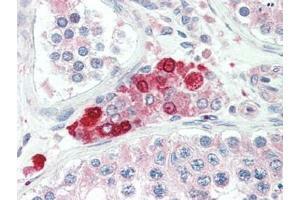 Human Liver (formalin-fixed, paraffin-embedded) stained with IRAK2at 5 µg/ml followed by biotinylated goat anti-rabbit IgG secondary antibody, alkaline phosphatase-streptavidin and chromogen. 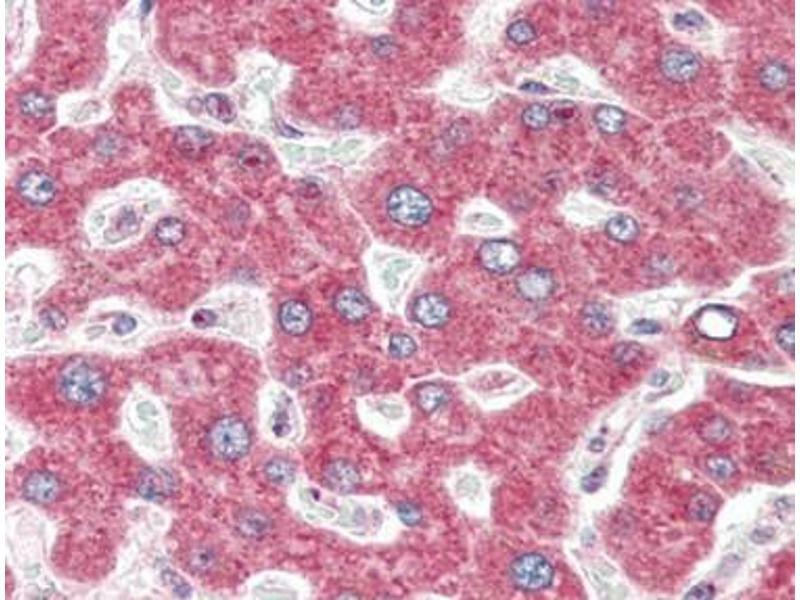 Human Pancreas (formalin-fixed, paraffin-embedded) stained with IRAK2at 5 µg/ml followed by biotinylated goat anti-rabbit IgG secondary antibody, alkaline phosphatase-streptavidin and chromogen. 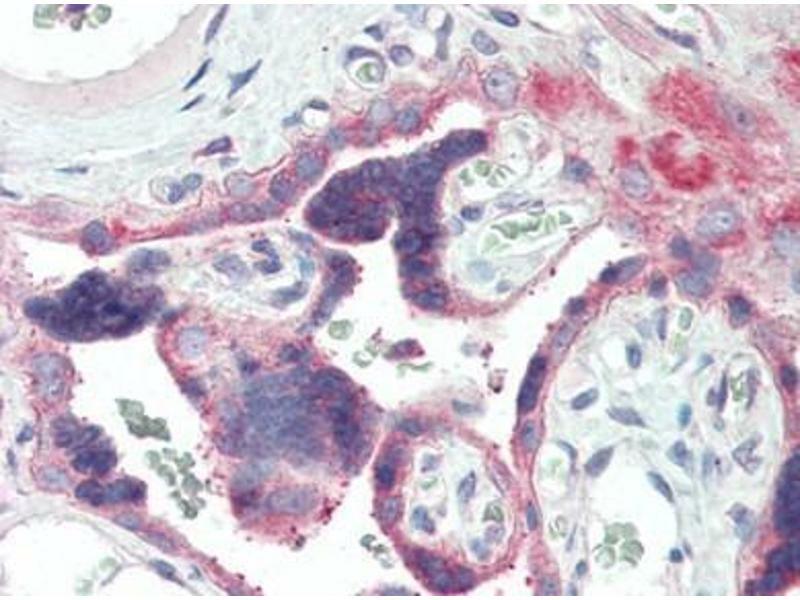 Human Placenta (formalin-fixed, paraffin-embedded) stained with IRAK2at 5 µg/ml followed by biotinylated goat anti-rabbit IgG secondary antibody, alkaline phosphatase-streptavidin and chromogen. 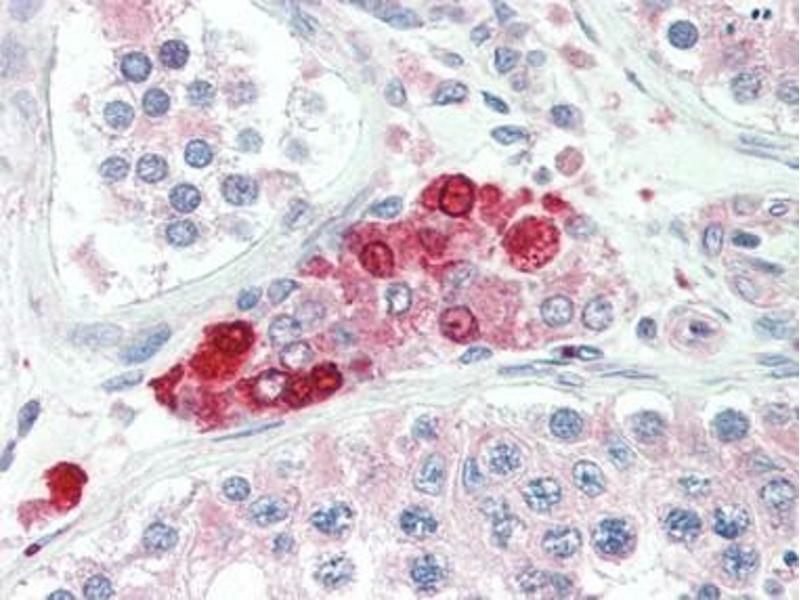 Human Testis (formalin-fixed, paraffin-embedded) stained with IRAK2at 5 µg/ml followed by biotinylated goat anti-rabbit IgG secondary antibody, alkaline phosphatase-streptavidin and chromogen. 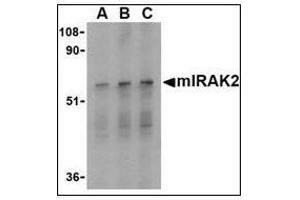 Western blot analysis of IRAK2 in RAW264.7 whole cell lysate with mIRAK2 antibody at (A) 0.5, (B) 1, and (C) 2 µg/ml. 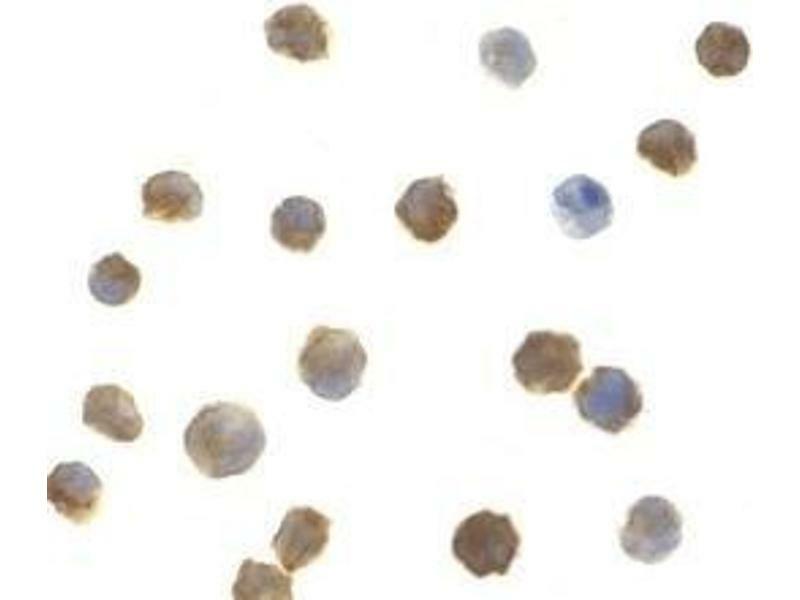 Spezifität This antibody reacts to Interleukin 1 Receptor-Associated Kinase 2 (IRAK2). 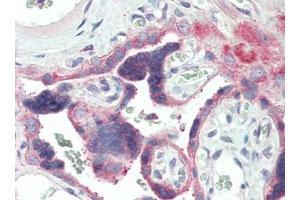 Informationen zur Lagerung Store the antibody undiluted at 2-8 °C.